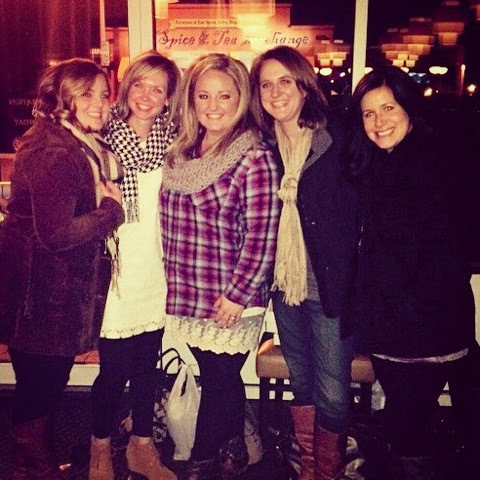 Choosing Joy: Friends and Favorite things! 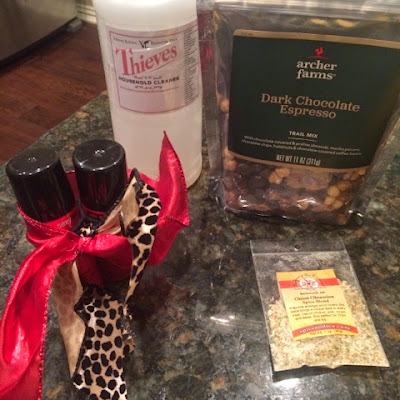 I had a Christmas Girls Night with my friends last night and we did a "Favorite Things Party". It was super fun. We set a $5 limit per gift and since there were 5 of us we each bought 4 of the same thing to exchange. Then we brought our gifts in bags and passed them around the table and had to guess who brought what. It was so fun! This might be a new tradition for us. Here is a peek at what I got! Super fun! I brought Burt's Bees Chapstick and Peppermint Bark squares. We ate at a cute "fancy" restaurant downtown, it was so yummy! Then we closed down Starbucks. I am so very grateful for my friends. It's just so nice to be around people who get where I am and what I am going through in life. We spend the majority of our time together laughing and I always leave feeling SO refreshed. 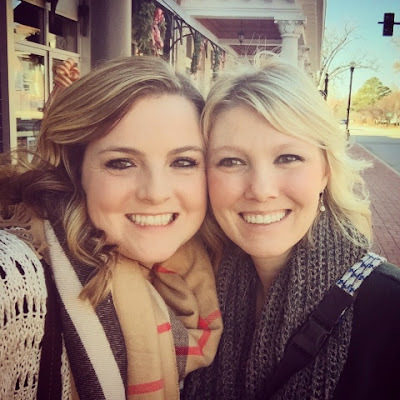 Then this morning I got to meet up with my friend Katie (yes I have two good friends named Katy/Katie...) for breakfast at another super cute restaurant downtown and we did a little shopping. 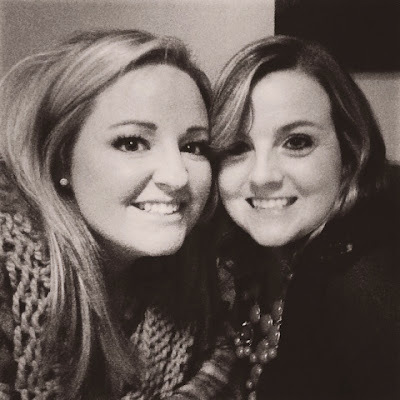 I love this friend too! She is very special to me and I always enjoy our time together! That's a "peek" into what's been going on this week in my life. Hanging out with my friends and a LOT of doing house stuff. This house selling/buying is HARD work!